Meat Mitch Whomp! 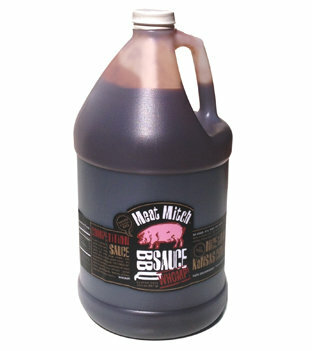 sauce is now available in Love Jugs! Buy it by the gallon and let everyone jump in the pool! Do you Love Jugs? We do! Brown Sugar, Ketchup (Tomato concentrate, water, tomato paste), vinegar, corn syrup, salt onion powder, Apple Cider Vinegar, Sugar, Spice Mix (Paprika, Salt, Chili Peppers, Sugar, Spices, Onion, Garlic), Worcestershire Sauce (Distilled vinegar, molasses, corny syrup, water, salt, caramel color, garlic powder, sugar, anchovies, tamarind and Natural Flavors) Vanilla Extract, Natural Smoke Flavor, Capsicum Oleoresin Extract. CONTAINS FISH.